Back in July my daughters and I saw the Moana for the first time. We were in London, staying with friends 12000 km from these shores. This friend about two-thirds of the way through got up, and said "Sure it's alright, but the songs, they're not as good are they?" I looked over at my two girls, absorbed as they were in the movie, and wondered if they were bothered that the songs weren't as catchy as Frozen (which they still love singing) or if they were seeing a story that mattered to them. Set in a place that they recognized, with characters they could understand. 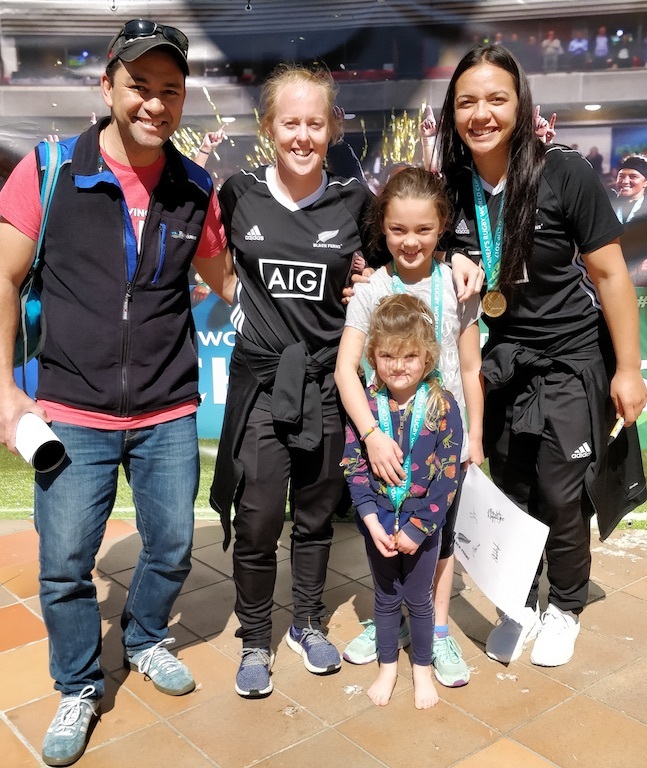 This last week I took them both to Civic Square to welcome and celebrate the Black Ferns. It was a sunny day in Wellington, we got there about 11:45, ate some snacks, and then sat waiting. B ran off to collect a sponsor's poster and a pen for the signings to come. Z flipped off her shoes and socks and practiced some tumbles on the astro turf. I was chatting to a gentleman who introduced himself as Neil. As is the way, he lives near us, and we both knew similar people it seemed. Then the players came out - to scattered applause from the small crowd - just moving out to chat and to take up places for signings. Eloise Blackwell, Selicia Winiata, Stacey Waaka, Kendra Cocksedge, Aldora Itunu, Kristina Sue, Victoria Subtrizky-Nafatali as well as Jamie Tout, the strength and conditioning coach and team manager, Lauren Cournane. It was a distinctly Kiwi type of event. Tofiga from the Laughing Samoans was the MC. 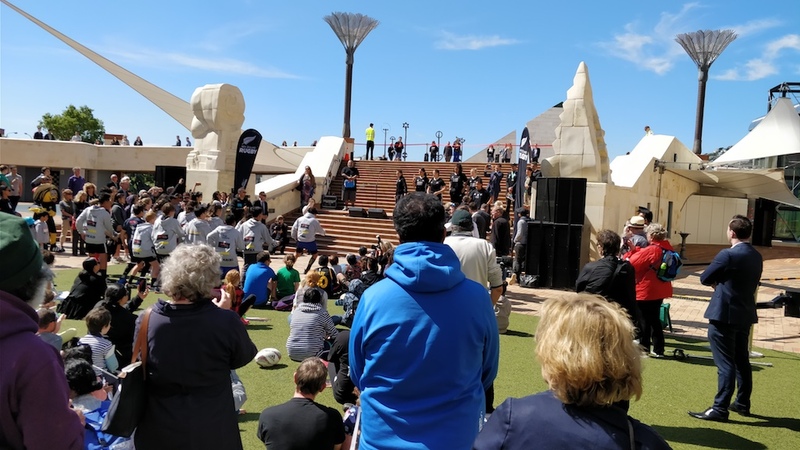 There were a lot of children, including a group from Titahi Bay Intermediate and in their high-vis vests, a number of little ones from early childhood centres. The rest of the crowd was a diverse mix of family and friends of the players, staff from sponsoring companies, and a scattering of CBD workers on their lunch break. As it was school holidays, there were families with kids and prams in tow. It was good to see and hear Indian, Asian, Pacific Island and Māori New Zealanders there and enjoying the celebration. The mandatory big screen was playing a few highlight reels from the World Cup. The organisers had set up some temporary posts for kicking practice, along with a sound system playing the obligatory singalong rugby tunes. The goal posts were being blown over regularly, and most people had tuned out the tunes. As I said, very Kiwi. The Mayor was there with Jacinda and Kelvin, as was Trevor Mallard who attended the tournament in Ireland. For all that security was light - I only saw 2 police officers and a few DPS staff. 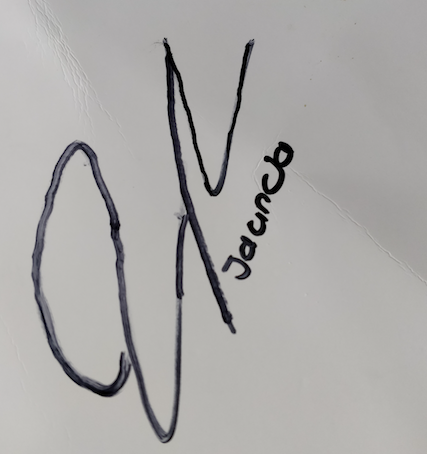 B and Z and I went and got signatures from all the players, and they enjoyed being able to just mingle and meet them in person. The speeches and comments from the dignitaries were brief, and it was powerful to hear the players talk to the many children there about following dreams, working hard, and not letting anyone stop you. Titahi Bay Intermediate stood to show their respect with a haka after the official statements, and then the reply from the Black Ferns was stirring - and a wonderful reminder of what haka is to the young people of this country. A reminder that those who rail at the All Blacks haka as if it's a singular performance - you're missing the point. Thankfully the kids are alright. A simplistic thing, that many a child has said I suppose, but I was struck by how important it is for my girls to hear these stories from figures such as the Black Ferns. To hear this message from females who are of this land and this place. Who have represented this place far beyond these shores. Who are strong women they can aspire to be. I was also struck again in that moment, of how much that story, the one of success, of effort, of working hard that the Black Ferns all described - how that story uniquely plays out here in New Zealand, because of all the genuinely low key elements of the day itself. Where else does it happen where the Neil you'd been speaking to before the event, turns out to be Neil Sorenson, the General Manager of the NZRFU, and he was helping take photos of people waiting in line. People like us. Where else can an 8 year old and a 4 year old hold a world cup trophy, and have a world champion share their medal for a photo? Where else can an 8 year old girl slip away by herself, to safely seek out and calmly ask the female leader of a political party for their autograph - and for that leader to say "Of course you can." Where else can two little girls think this is just how it is, where it's only their Dad who thinks it may be just more than a little bit special. This Aotearoa is not a perfect place, far from it, and there's much to do, but on this day, these moments have all become part of my daughter's storylines. Such as these Black Ferns. They are the bold future that this land deserves. To flip a phrase from another commentator this past week - they are our legacy. And for that I'm truly grateful.